Aluminum air systems (S07 and S08) meet various industry certification criteria, ensuring the highest level of safety and quality. If you need more information about our certifications, contact our technical team. All our piping systems for compressed air meet various certifications. Learn more about each of them. All Topring PPS pipes, fittings and ball valves are CRN approved for all Canadian provinces. Locate this label to confirm that your product meets this standard. The QUALICOAT certification is a guarantee of the quality of the lacquer finish applied to aluminium pipes. Our S08 and S07 products meets this standard. Our S08 and S07 products are manufactured according to ISO management system standards. ASME B31.3 prescribes requirements for material and components, design, fabrication, assembly, erection, examination, inspection and testing of piping. S08 and S07 products meet this standard. 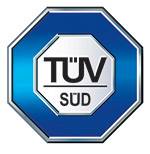 A TüV certified product is a pledge of safety and quality. It complies with the Pressure Equipment Directive PED 2014/68/EU. 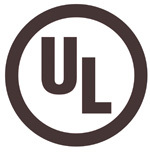 The TüV seal confirms independent test results - in particular the properties of the products and the standards under which they were examined. Locate this octogonal label to confirm that your product meets this standard. S08 products meet this standard. All products of S08 Topring PPS meet standard for fire rating of construction products and components (UL 94). Locate this label to confirm that your product meets this standard. A REACH certified product meets the guidelines for registration, evaluation, authorization and restriction of chemicals. Locate this label to confirm that your product meets this standard. S08 products meet this standard.